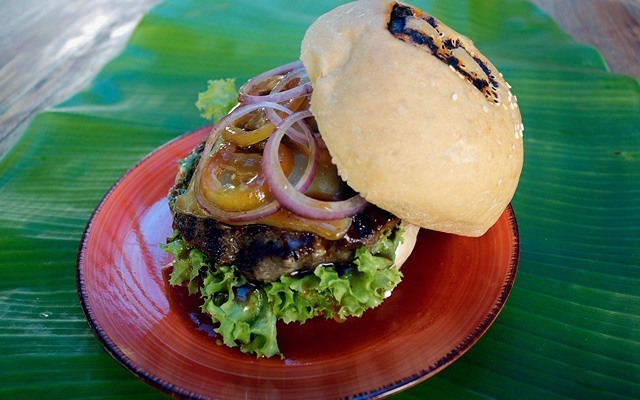 The Surfing Capital of the Philippines also has a great variety of restos! Aside from being a surfer's haven, Siargao Island in Surigao del Norte is a traveler's playground with its beautiful coves, underwater caves, and pristine islets. 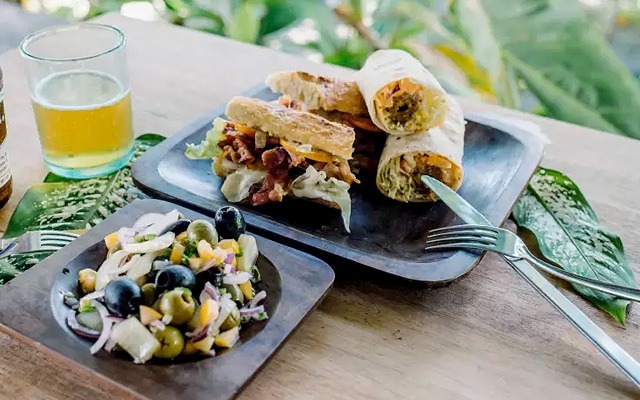 But another great reason to visit this tropical paradise is the list of local restaurants and bars with dishes that can satisfy any craving, whether you're hankering for a plate of tapas, a slice of brick-oven pizza, or a healthy smoothie bowl. 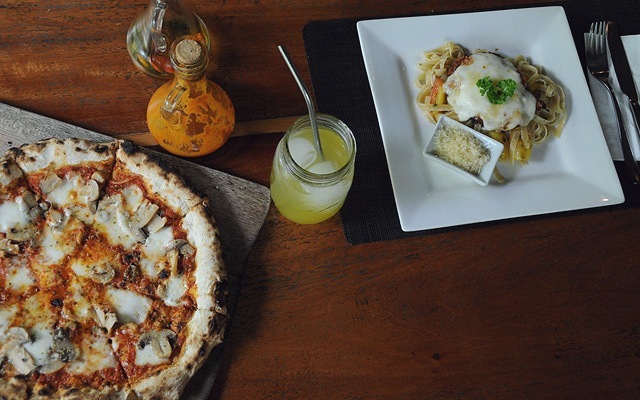 Open daily from 7 a.m. to 11 p.m.
Kermit Siargao's oven-baked goodness was once described by Conde Nast Traveler as "what might be the best pizza and fresh-made pasta in the country." A whole pizza starts at P250, then you can just add various toppings (P30 to P50) to suit your liking. Don't forget to look at the specials board and treat yourself to dishes like Gianni's Ravioli, which is a plate of homemade ravioli stuffed with camote tops, ricotta, and prawns. For dessert, the tempting chocolate lava cake served with vanilla ice cream is a must. 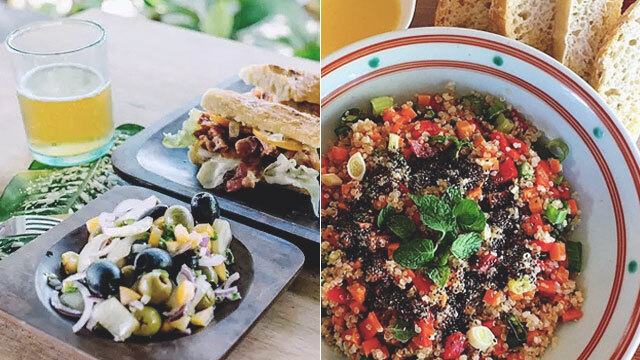 Spanish cuisine also has a place in Siargao. Bravo Resort's Chef David Lopez brings his San Sebastian upbringing to the island by serving tapas and paella that are just as good as the ones in Spain. Start off with a plate of Tortilla de Patata (P160), a classic and savory omelette with potatoes, before moving on to the mains like Peri-Peri Chicken Thighs (P240), Albondigas a la Riojana (P260), and Slow Cooked Coconut Pork Curry (P270). Party with the locals in Siargao by hanging out at Barrel Bar. A must-try is the Jack Daniel's Beef Burger, your favorite comfort snack with a patty that's glazed with Jack Daniel's barbecue sauce. In case you're nursing a hangover from downing Barrel Bar's signature drinks all night, you can order a Breakfast Plate (P150) anytime. We highly recommend the homemade spicy chorizo served with egg, rice, and their famous garlic sauce. As its name suggests, La Carinderia gives Filipino food an Italian twist. Some of their specialties are the Sizzling Spicy Tuna, Mahi-Mahi Carpaccio (mahi-mahi is a common dolphinfish), Guazzetto di Pesce (slow-cooked mixed-seafood hot pot), and Grigliata Mista di Pesce (grilled fish with parsley, garlic, and calamansi sauce). Most of their menu items feature fish, which is something you'd expect if you're on an island that has an abundant supply of fresh seafood. Filipino cuisine takes center stage in Harana, where guests are serenaded by the ocean's crashing waves and the sound of nature. The menu is a repertoire in itself, from the sinful plate of Crispy Pata (P450) to a bowl of Spicy Tuna Kinilaw with Coconut Milk (P300). For a true island feel, you can just take off your shoes, plop down on the pillows, and down a few beers with friends until closing time. 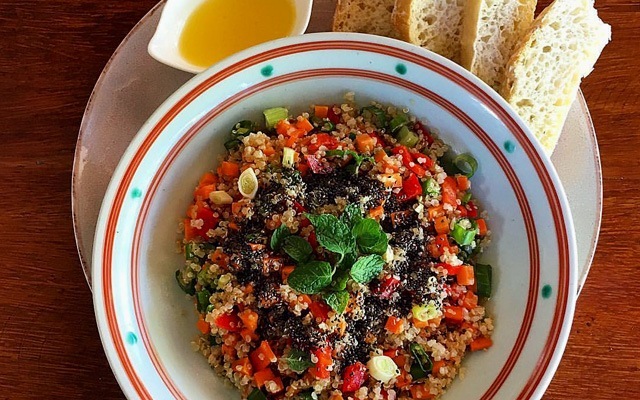 Open from Tuesday to Saturday, 9 a.m. to 11 p.m.; Sunday, from 3 p.m. to 3 a.m.
Kitya's Place specializes in everything healthy from hearty breakfast meals to smoothie bowls and vegetarian dishes. 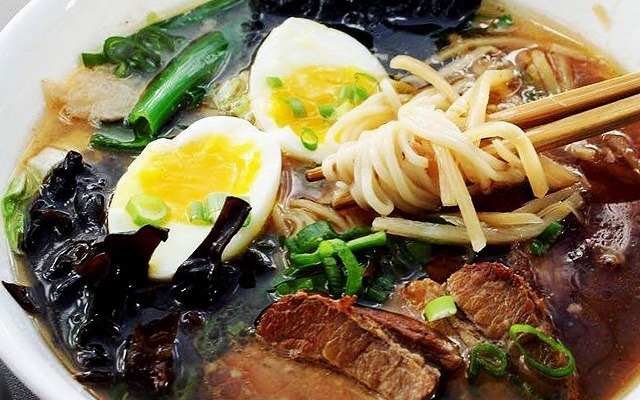 It's also a good stop if you're craving ramen, a rare find when you're on a small Philippine island. Every Wednesday, Kitya's Place turns into a traditional Filipino home where guests gather around a long table and eat over banana leaves with their bare hands. 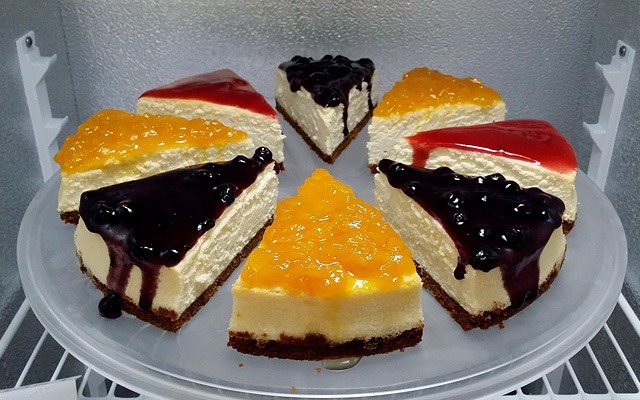 Open from Thursday to Tuesday, 7:30 a.m. to 5:30 p.m.
One word: Cheesecake! If Lunares Cafe's selection of cakes and pastries can't lure you to the island, we don't know what else will. You can indulge in the assorted pasticcini, puffy mango diamond, cannoli, and apple crumble with gelato. A cup of espresso, which you need before heading out for a surf sesh, is at P80. Open daily from 6 p.m. to 10 p.m.
Mama's Grill serves everything and anything grilled. 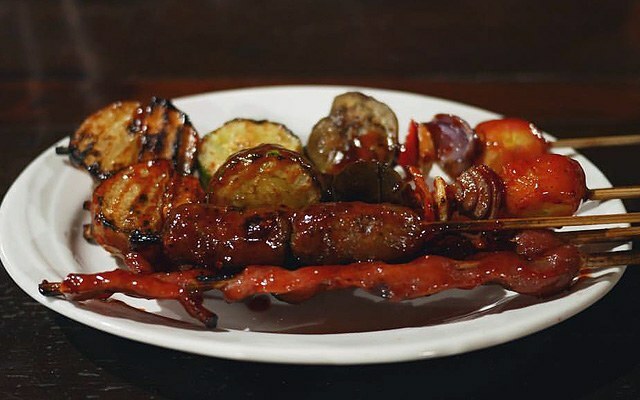 Whether you want pork, chicken, tuna, squid, shrimp, or even vegetables, expect that this carinderia has your barbecue of choice. Pair them with generous servings of rice—you're on vacation anyway. Open daily from 6:30 a.m. to 5 p.m.
Life on an island, even only for a while, isn't complete if you don't treat yourself to a healthy coconut-milk smoothie bowl served with fresh fruits and homemade vegan granola—and Shaka Siargao's got you! The "Power Bowls" menu is a full list of tropical goodness: Bom Dia, made of acai, banana, mango, pineapple, and berries; Cloud 9 Kook is perfect for the sweet tooth with its mix of banana, peanut butter, and cacao; and the more green-minded (*wink wink*) can opt for Green Out, which has kale, saluyot, cucumber, spirulina, ginger, pineapple, mango, and honey. 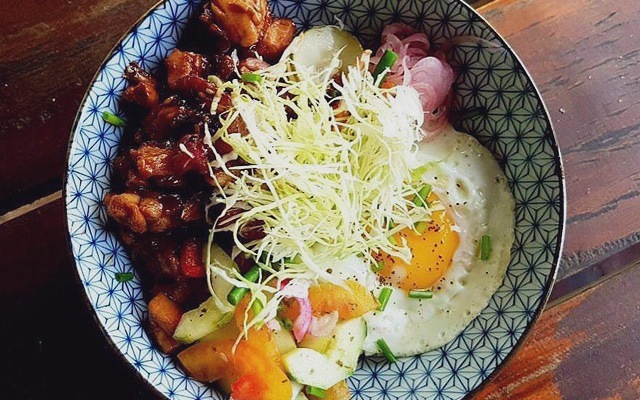 All bowls cost P250, just add P50 and you can have a bowl-and-coffee combo. 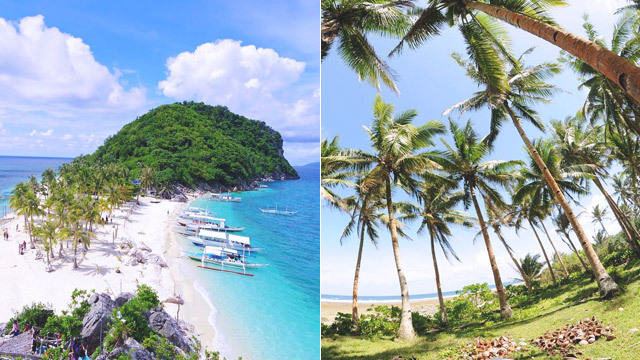 How to get there: Cebu Pacific (via CebGo) and Skyjet offer direct flights from Ninoy Aquino International Airport Terminal 4 in Manila to Siargao Domestic Airport in Barangay Sayak, Del Carmen, Surigao del Norte. 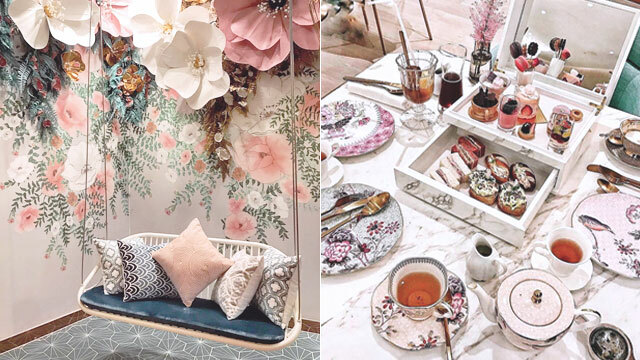 Don't Miss This Beautiful Floral Cafe on Your Next Macau Visit!